Working with angels in the angelic realm is a direct line to raising your vibration. My passion is to help you to raise your vibration and hear the guidance of the Angels. When you connect with Angelic energies, your life changes in ways that you could never have imagined. Participate in ALL the aspects of your life. Take the blinders off get in there and live your life! 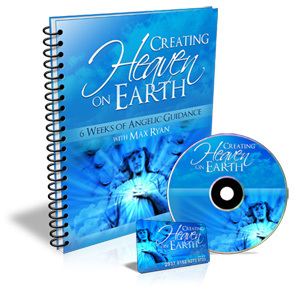 Each week you will receive a specially tailored PDF lesson focused on that week's spiritual principal and the specific Archangel who will help you deepen your angelic connection. Listen to a Preview of Week 1 Here! Are You Ready to Connect with the Angels? "I just listened to the MP3 where you are teaching about Angels. Max, you are so pure in your energy and your love for healing people really shines through. I love this and this is something that so many people fail to do when they are guided to this work. You have pushed your ego aside and work from the heart and soul. You have a great knowledge, and wisdom of this and it's clear to me that you really are one of life's earth angels. Thank you for sharing your gift with the world." "AWESOME BEYOND WORDS!!!!!!! 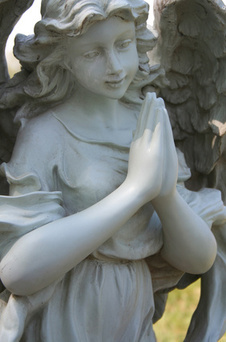 The meditations helped to connect with the angels in a deeper way and also provided confidence that I would be connecting because of your guidance. You present in a way that makes me feel that I am not alone and that we are on this journey together which is very comforting." peace and a sense that there is beautiful way to live your life with Angelic support, guidance and love within and around you. I will refund the entire price of the course back to you. now it is only $44!